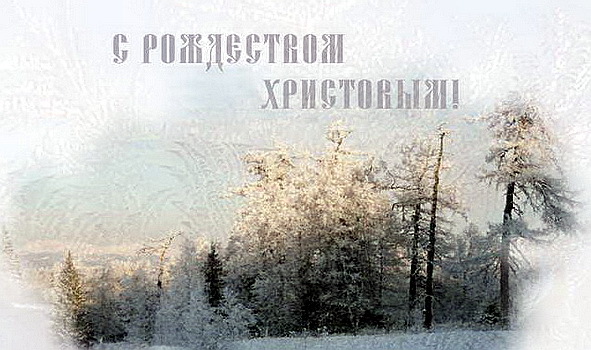 Orthodox Christians celebrate Christmas on January 7, in line with the Julian calendar. 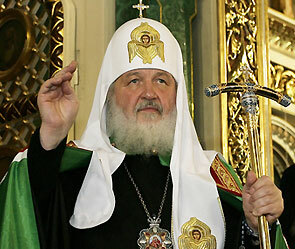 “The celebration of Christmas is one of the sources of our spiritual traditions, linked to the Christian ideals of morality and mercy which have for centuries been major values and milestones for the people and basis for the social life in Russia,” an English-language statement on the presidential website read. “Today, they continue to strengthen the moral foundations of our society and maintain the atmosphere of mutual respect, religious tolerance and concord,” the statement went on. 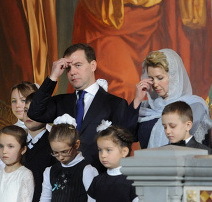 Medvedev earlier attended mass at the Christ the Saviour Cathedral in central Moscow. Next Next post: Cellphones and Alzheimers !